Yesterday was an energetic watershed and the message which Carla received from the Agarthans the other day and further expanded on it yesterday sheds light onto it. Essentially humanity has arrived at the threshold of soul evolution where the true inner work begins for the masses in the course of which the old ego has to be fully released. The PAT has had this experience a long time ago, otherwise we will not be the Planetary Ascension Team. One can fulfill such a transpersonal mission only after one has done the inner work and has overcome all the limitations, prejudices and false beliefs that comprise the old human ego and transcends one’s (in)human existence into the Unity field of All-That-Is. Then from this moment on one begins to transmute the immense human dross at the collective level and, boy, does it feel so very much personal and devastating when the source waves of cleansing human darkness and the powerful downloads of new codes begin to hit you. One can only accomplish this Herculean job if one has learnt to discern collective patterns from personal issues and has developed an unconditional love for oneself. This Self-Love has nothing to do with the wide-spread spiritual narcissism which flourishes among esoteric circles and has turned the New Age into a sandbox for children souls in a kindergarten. At the same time this unthankful duty affords a complete indifference to all projected accusations and judgments which begin to bombard you from all sides because you have managed to fly “over the cuckoo’s nest”. This is what we have regularly experienced for many years and we have become immune to it as we love and appreciate ourselves so much, before the people awaken enough to also begin seeing our beauty. This time is very nigh. Yesterday while Carla was receiving the second part of the message below, I was beamed with massive source energy of unity in such an all-encompassing manner while holding open the portal to the higher realms that I felt physically how this unity field descended upon humanity and separated the population into ascended masters who have done their job and those who are now realizing that they can achieve the same goal if they discard their past ego personality with all false thoughts, habits, prejudices and outdated beliefs. But since the ego tends to reject the personal responsibility for inner introspection, it projects in one final futile attempt all its unprocessed darkness onto the light gestalts around it, in this case onto true PAT members who have done their inner work and shine brightly. And, lo and behold, some tempests in a cup of tea exploded on the fringes of the PAT and affected me and some other PAT members in the last few days. But this was at the same time the “biggest jailbreak in recorded history outside the discovery of the Universal Law” 24 years ago as Brad put it superbly in an email to me. This will have significant personal consequences and ramifications for both groups – the ones who are now released from the shackles of the old matrix in form of families, friendships or mere connections and those who had to be left behind alone, so that they can begin with their inner work and eventually follow our footsteps. And someday, in the distant future, they might finally evolve sufficiently to attempt their own “jailbreak” from the suffocating staleness of their old empty lives in the matrix. This energetic “jailbreak” yesterday was anything but surprising as it has been gaining momentum for some time. I, and surely many of you, are following the New Age discussions very closely since many years and since 2017 one can observe a real cognitive explosion in spiritual understanding, for instance, that we live in a multiverse with infinite timelines and that there is no such thing as linear time and only one predetermined destiny. Also the concept of constant source energies that flood humanity and earth and promote the ascension process has become a common knowledge nowadays. This includes the acceptance of the LBP as an individual process of ascension parallel to the planetary ascension, although there is still a lot of confusion and presumptuousness in most New Agers’ views. The insight that we, the light warriors, are the only conduits and creators of this process is also gaining momentum, namely that we are the ones who are cleansing Gaia and humanity and drive the ascension process. When I opened this website, none of these concepts were common knowledge and part of the world view of all new agers and we reaped a lot of incredulity and rampant critics at that time as you may remember or recollect by reading our energy reports from these years. We began to develop these novel ideas from the very beginning in 2011 and they underwent a rapid perceptual evolution as our personal experience with the multidimensional ascension process steadily grew. Unfortunately, one cannot find a single reference on any esoteric website and from any author to the original source of these ideas. It is a conundrum to me that none of them even acknowledges the role of the PAT in the Ascension process, although now everybody is talking about “The Event” in ample ignorance of the energetic prerequisites to it and who actually are the creators of this process – namely, the PAT as a human expression of the Source. From a theoretical and energetic point of view this is a serious deficiency and a deliberate convenient ignorance of still unprocessed ego-minds and tells me how far away from personal ascension most current light workers are. I personally believe that there are many people on this planet who do not care for the New Age crap but are more evolved than most self-proclaimed esoteric gurus and very much nearer to us than the usual light proles. When the quantum shift will come, they will be the ones who will ascend first after our transfiguration. The shock that is currently awaiting the small community of delusional new agers will be devastating and unexpected, but this is the kind of shock they ultimately need to experience in order to reflect on themselves and eventually progress. Now on a more positive note. We have been contacted by the Agarthans two weeks ago and we are now in the preparation of our final ascension phase. Carla got several personal messages, including the one below from yesterday and the day before. Essentially, we are now establishing the ascension portals to Shambala, the capital of the Inner Earth of Agartha, also known as Agartha Network. The Agarthans will help us run the new cities of light and the healing centres there. In effect, there will be an energetic convergence between Inner and Surface earth as we belong together and Gaia carries both the current failed surface incarnation experiment and many already ascended civilisations as the Telosians, who came from Lemuria, as well as the Hyperboreans, who live in the 7th dimension as pure energy and only indirectly coordinate the ascension process of Gaia and humanity. They had established contact to us in 2014, but have been more or less silent since then. The Hyperboreans are the actual founders of the Agartha Network in the Inner Earth, which has nothing to do with the physical earth but with the 5th and higher dimensions. Therefore the idea that Gaia ascends is somewhat limited as part of it has always been ascended. What ascends now is the earth as a physical body within the new Golden Galaxy and with it the surface human population in order to merge with their brothers and sisters from the Inner ascended earth. For instance, we know now for certain that there is an active portal nearby which already vibrates very high and connects directly to Shambala, the capital of Agartha. It will be the healing centre for many people who will come from all over the world to be healed here. In fact, this place will be an interception to Shambala and the patients will be taken there for healing in the higher dimensional healing temples and then will come back rejuvenated and will feel like new-born. This will be a great sensation when the new healing centre will begin to operate very soon. This is exactly what happened with us two days ago. Both Carla and I were taken for two hours in the afternoon and went to Shambala, where we received a major energetic update and when we came back we were only holographic images of ourselves and could see the pyramid of light that represents our personal fields stretching high up into Agartha. Our souls were also gone during the whole day. Then in the night we received another energetic update and healing and this is the topic of the message which Carla received and published yesterday on her website. Therefore, it is absolutely wrong to have any doubts that nothing happens, quite on the contrary, we are now in an ever-expanding and exponentially ascending spiral and we no longer feel human. The shifts happen daily and each one of them may lead to the final quantum leap, or a major quantum leap of the timelines we live in that will change our reality for ever. The old matrix is now crumbling big time and one must be blind not to see it. It follows very much the itinerary of the year 1989 when the Iron Curtain fell and even the march of the immigrant caravans in Central America towards Trump’s fictitious wall on the south border is a repetition of the Cold War scenario when the trains of emigrant candidates from DDR that were stranded in the West German embassies in Prague and Budapest drove through East Germany and triggered the dissolution of this ludicrous state end of October 1989. Therefore, we can expect a lot to happen in November and keep an eye on 11.11.11 (11 = 2018) when all heads of western states, including Putin, will meet in Paris to commemorate the end of WW1 one hundred years ago. Something huge may happen around this powerful stargate that we first opened 7 years ago. And now enjoy Carla’s discussion that was inspired by the Agarthans and their message, which they were very adamant to disseminate through us. This is a message from the Agarthans who have come forward to us as we were recently guided to connect with Shambala, the Inner Earth Capital City. It is clear from this message that they wish to emphasize the absolute necessity of clarifying our roles in the ascension from a perspective of inner reflection. Through clarifying our own roles (and this means in effect how we envision our engagement in this process of expansion into a higher frequency), we will have to have reflected upon ourselves to the greatest depth possible. It also means that when we think we have reached the core of our beingness, we will have yet more inner work to do. How do we know we are experiencing separation consciousness? We hold unprocessed fears, judgment and blame of others around us. It is important to know that our judgments of others stem from clear and biased criticism of ourselves, of our own beingness. Separation consciousness can only be released through hard, honest assessments of ourselves: our reactions, our feelings, our thoughts and our beliefs. Once we have this all out on the table, we really have a truthful knowing of what energies are holding us back from our expansion. Completing our inner work is the first and most important step in this ascension cycle. We are entering into a field of Unity Consciousness and if we hold limiting beliefs and prejudice of ourselves, and others, we cannot enter this field and we are clearly still on the path of restitution of self. In the end, when the inner work has cleared away the layers of self-judgment and when we discover the truth of who we are, it is only then that we are free to move forward into accepting ourselves completely. Unconditional self-acceptance is the moment where we will find ourselves to be in total alignment with the expanded consciousness of the unity field, and we will automatically step into the ascended frequency of a new reality. Since you have now renewed your intention to connect with the Agarthan network and reconnect to our ascension mission of Gaia and humanity into the fifth dimension, we are honoured to have you return to us in full awareness [after much inner work, note Carla]. We have provided you with a new energetic alignment [with respect to our shift on the afternoon and night of October 26th] to our new expression of the “Fifth Dimension” into which we previously moved three or so of your years ago. This alignment was necessary to bring you back on board with the revelation of the existence of New Lemuria/Inner Earth. You may not understand this, but with the great inner work that you have completed, your crystalline light body is ready now for the alignment with “our reality”. This is why we have always said that ascension begins first and foremost at home, with one’s Self, whereby relieving self-judgment and self-criticism that will surely lead in time to full self-acceptance and self-love. Without self-love, there is no possibility to move forward in one’s personal growth and the inner onward evolution. It is important now to understand that the energies coming your way are here to guide personal evolution in the direction of a positive development in terms of the ascension process. Any discussion of ascension must always begin from a foundation of self-compassion. This statement means there must be a balanced reflection made upon one’s inner terrain, and by terrain we simply mean all of the thoughts and emotions that each of you hold within your Being, the thoughts and emotions that you hold in respect to yourselves. As long as one is in judgment of another or projecting blame upon another, there is unfinished inner work holding one back from the greatest energetic shift in the Creation – the ascension of all beings, all aspects of expression, and all expressions of realities within your life, in this now moment. It is with great love and compassion that we say to you now that you need not consider, criticize, project or decry anyone else’s path along the ascension way – you are only responsible for yourself. By projecting judgment and blame on to another is only lifting responsibility for your own growth. This is not the way to the ascension! While it may seem a tireless comment, it is true that as one expands their inner energy of self-love and compassion founded in loving kindness for self and within which grace and gratitude are immediately a part – this naturally expands the ability of cells in the body to hold more photonic light. More photonic light means a higher level of consciousness. As soon as a level of loving kindness is achieved, there are irreversible shifts in the operating function of genetic strands (DNA); they open to more photonic light, light of a higher frequency, and therefore light frequencies of more refined realities in the creation. This is how one expands in consciousness and this is actually what is meant by the Ascension. 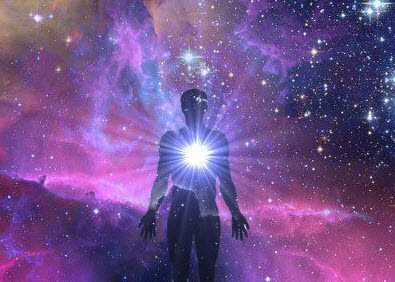 As humanity as a core unified field of consciousness also obtains this level of expansion, they will shift as a whole, as a unit, into an expanded or higher frequency of light. We are all One. We are the unified presence of the Whole. Humanity’s challenge is to overcome the idea that it is separate from creation simply because it is 6 billion “separate individuals”. You are One, and you are One with Us. And We are One with the Creation. As more and more of humanity accesses this knowing at the level of inner recognition – the entrainment shall be triggered, where there is a sudden knowing by many individuals, and where there shall be a quantum shift created, causing a group shift. The more deeply one grows into the divine understanding of Self and the divinity of creation, the more easily this shift will come. In the meantime, those who are aware of this expansion into the light, including you and your friends around you, shall continue to flood the collective with increasing light frequencies used wholly to open the collective mind to seeing and learning new perspectives on life. This is the great ascension project and we Agarthans will be your interface between these expanding dimensions, third to fifth. Remember, Self-Resurrection is the way to the ascension, and it is the only way. We are the Agarthans and we remain by your side.